12205 Journeys End Trail, Huntersville, NC 28078 (#3361885) :: Robert Greene Real Estate, Inc. 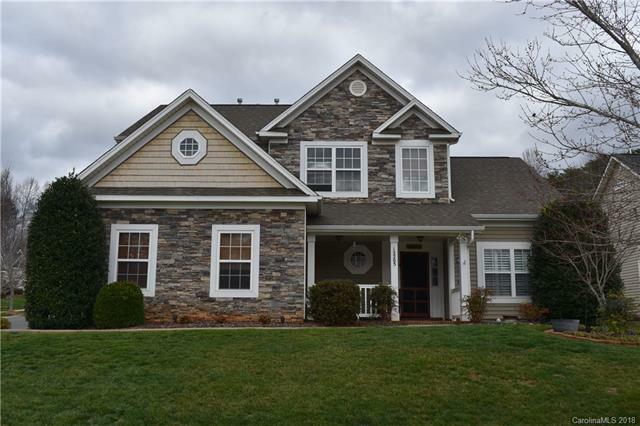 Meticulously maintained 2-story transitional home in Huntersville, NC's, highly desired Aberdeen Park community! Well manicured and irrigated yard welcomes you before entering the home! Gorgeous stone waterfall! Retractable awning and hot tub on Deck! Fenced Yard! Shed! Open Floor Plan, 9' ceilings, arched doorways! Nice trim, hardwoods! Gourmet Kitchen has custom Silestone countertops, gas range, new dishwasher, 42" cabinets, roll out drawers! Great Room offers stacked stone fireplace, built-ins! Plantation shutters. The large Sunroom on the back of the home is heated and cooled, bright and sunny, overlooks waterfall and back yard! Large master suite on main, which is sure to impress with the tray ceiling, walk-in closet and garden tub! Upper Level has a large bonus room and 3 bedrooms, one of which has a nice large Craft Room or could be an Office-great versatile space! Entertain in the Sunroom and outside on the two tier deck. Two car garage and walk-in attic offer lots of storage!